After the special forces, riot police forces of the Länder and the Federal Police now also receive modern armoured vehicles. Defence companies compete with models weighing up to 15 tons. Several dozen police stations in Germany will be equipped with new wheeled tanks. The riot police of the federal states receive 45 modern vehicles for the first time, the Federal Police increases its stock by ten. According to the German Federal Ministry of the Interior, these are „protected“ off-road vehicles and passenger transport vehicles. 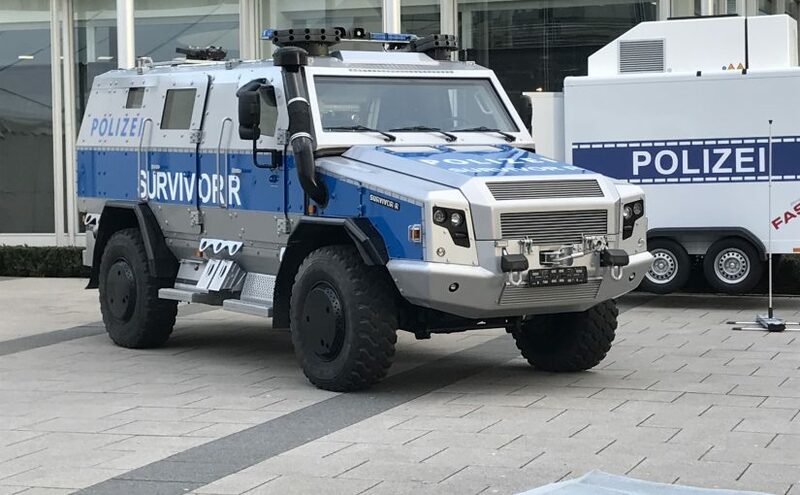 Parliamentary State Secretary Stefan Mayer calls them „Sonderwagen 5“ („Special Car“, SW 5), but the Federal Police no longer wants to use this term.